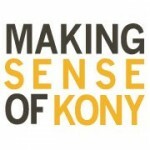 In the storm that has erupted over Invisible Children’s Kony 2012 campaign, one conclusion that people on all sides of the controversy tend to agree upon is the deep, even desperate, need for more information about the conflict in northern Uganda. In an effort to respond to this demand, a group of scholars and activists with extensive experience in the region have come together to develop an on-line resource for those seeking to learn more about the conflict, its legacy in Uganda, and the LRA-associated violence in central Africa. It is our aim that the materials found here will contribute to the growing public debate about the conflict and help inform both citizen activism and policy decisions. Although divergent political positions and practical programs are reflected in the materials we present, all are founded upon a common commitment to the importance of critique, debate, and learning. Our hope is that this forum will evolve into a long-term source of information on the conflict and its repercussions, incorporating contributions by a growing community of researchers and activists.